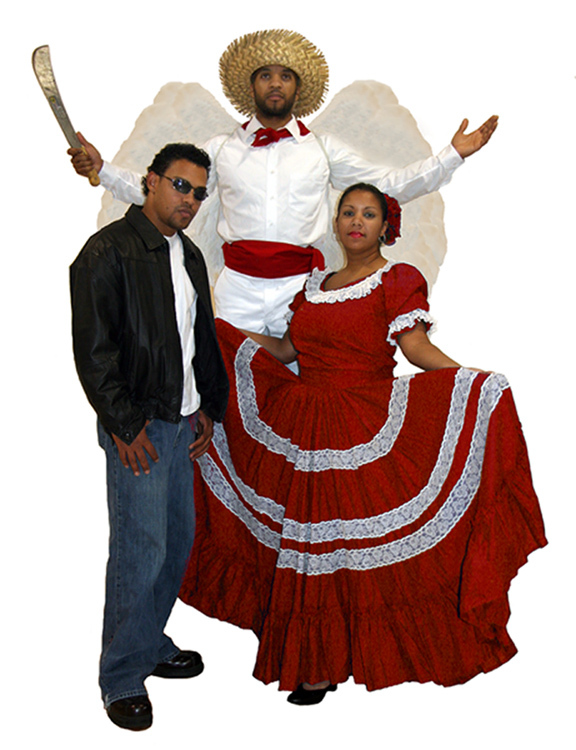 In December 2007, Puerto Rican Folkloric Dance debut our newest original musical, Angelito Borincano, featuring live music and dance. When the 1899 Hurricane San Ciriaco hits the island, the Jibaros of Puerto Rico are given an Angel! Exciting adventures take Angelito Borincano through the 1950's great migration from the mountains of Puerto Rico to New York City -- and back -- searching for a heroic act that will earn him his deluxe wings! This original, bilingual musical was created by PRFDance Director Ana Maria Tekina-eiru' Maynard in collaboration with Rupert Reyes, Director of Teatro Vivo. 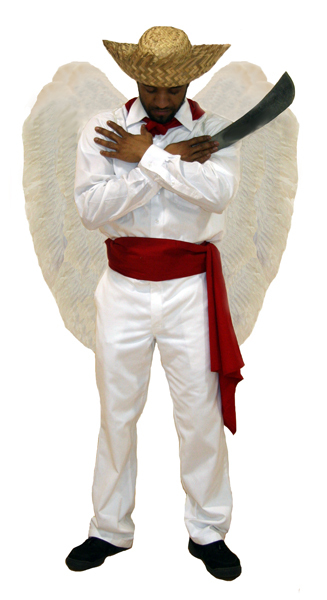 Although Angelito Borincano is purely fictional, our story is rich in very real Puerto Rican history and traditions. Enjoy the information below that tells about the historical settings in which our delightful, funny, action-adventure musical takes place. 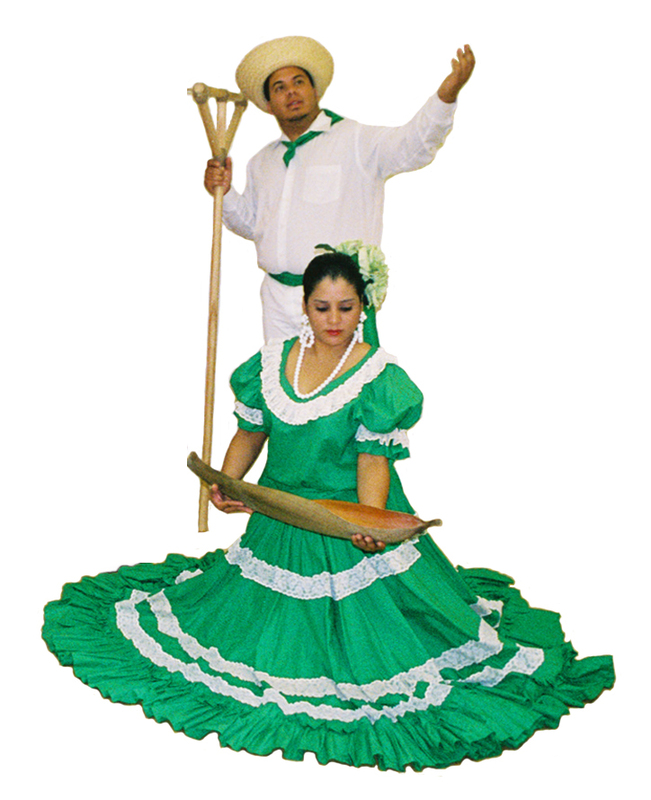 The main characters of our musical live in the coffee growing mountains of Puerto Rico. Until the late 17th Century, almost all coffee in the world was grown by protective Arabian plantation owners who prohibited strangers from visiting their plantatation and forbidded seeds from leaving the country. Their monopoly was broken by Dutch coffee spies, who managed to steal, cultivate and freely distribute coffee plants throughout Europe, including France. The first coffee plant to cross the ocean to the Americas was brought by a French Naval Officer, Captain Gabriel Matthieu de Clieu in 1720. Across the wide ocean, the Captain defended his little tree from all kinds of attacks (even Pirates) and kept the little coffee plant alive by sharing his drinking water. Coffee was introduced to Puerto Rico in 1736 from Santo Domingo and grew well in the protected rainforest canopy of the high mountains of the island. At that time, decendants of Spanish immigrants, humble and hardworking mountain people called "Jibaros," worked the inland farms in the mountains of Puerto Rico. Coffee became an important Puerto Rican commodity in the 1800s when events in Europe forced French and Italian immigrants from Corsica to settle in Puerto Rico. For them it was an island of similar geography with an attractive offer from Spain -- free land for those who wanted to start a new life on the island. In our musical, our main characters migrate to New York City searching for economic opportunity. Puerto Ricans began (im)migrating to New York as early as the mid 19th Century when Puerto Rico was still a Spanish Colony. The largest wave of migration to New York came in the 1950s in what became known as "The Great Migration" with the advent of affordable air travel. For $52.50, one could take an 11pm night coach to New York City -- a crammed, frightening, nauseating, unpressurized flight that was jounced around the air like a ship in a storm-tossed sea. Puerto Ricans eager for economic opportunity were attracted by U.S. factory owners and employment agencies that had begun recruiting heavily on the island. 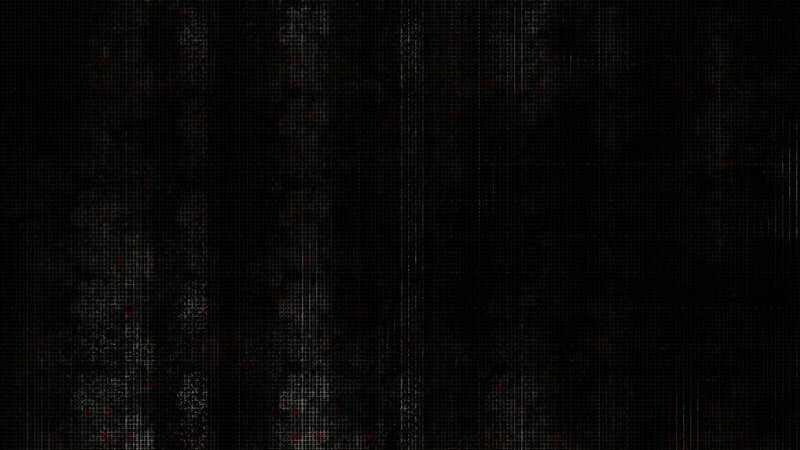 One documented case was the recruitment of 130 women directly from Puerto Rico by the American Manufacturing Company. They were brought to NY by steamship and set up in an apartment building complete with Chaperones from well-known respected Puerto Rican families and a free bus that took them to and from work. In 1953, Puerto Rican migration to New York reached its peak when 75,000 people left the island. By 1960, the United States census showed that there were well over 600,000 New Yorkers of Puerto Rican birth or parentage. Estimates were that more than one million Puerto Ricans had migrated during this time of the Great Migration [8,9,10,11,16]. Hurricane Betsy (Santa Clara)," http://www.atl.ec.gc.ca/weather/hurricane/storm56.html. "Long Night's Journey," The Puerto Ricans: a documentary history, Kal Wagenheim and Olga Jimenez de Wagenheim, Markus Wiener Publishers, 1994. "Rural Life Under US Rule," Cultures of America - Puerto Ricans, Petra Press, Marshall Cavendish Corp., 1996. "From Colonia to Community: The History of Puerto Ricans in New York City, Virginia E. Sancheck Korrol, University of California Press, 1983. Jimenez de Wagenheim, Olga, "Puerto Rico: An Interpretive History from Pre-Columbian Times to 1900," Markus Wiener Pub., 1998. Kal Wagenheim, "Puerto Rico: A Profile", Praeger Publishers, New York NY, 1970. Morales Carrion, Arturo, "Puerto Rico: A Political and Cultural History," W. W. Norton & Company, Inc., 1983. Pico Fernando, "Historia General de Puerto Rico," San Juan, PR: Ediciones Huracan, 2000. The Book of Coffee and Tea: Second Revised Edition, Joel Schapira, Karl Schapira, David Schapira, St. Martin's Griffin Publisher, March 15, 1996. "Mountain Gold: Puerto Rico's Gourmet Coffee," Bienvendios Magazine, Official Visitors Guide of the Puerto Rico Hotel & Tourism Association, Coral Publications, 1999. "Corsican Migration to Puerto Rico in the 19th Century - Part 1," Wilfredo Santiago-Valiente, PhD, El Boricua, a cultural newsletter (www.elboricua.com), August 2003. Interviews and teaching from Joquain Nieves Caldero, Folklorist from Corozal and Director of Guateque de PR, 2003.